This structure houses Manitoba’s oldest continuously operating printshop. 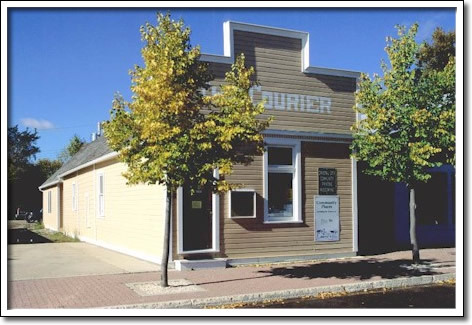 It is an outstanding example of an early small-town newspaper office and contains one of the province’s finest collections of working turn-of-the-century printing equipment. The printshop was constructed in 1881 by Thomas Greenway, founder of Crystal City and Premier of Manitoba from 1888 to 1900. Modest false-fronted commercial structures such as this were typically among the first to be constructed in newly established prairie townsites. This example has survived largely intact and at its original main-street location. The first issue of the weekly Rock Lake Herald was published here on September 1, 1881—only three years after the arrival of the area’s first settlers. It was succeeded by the long-running Crystal City Courier. Such local newspapers were often the main source of news and information for the community, and played a significant role in the early social, cultural, and political development of rural Manitoba. In 1991, the printshop was purchased by a community group and developed as a working museum.